Orthodox rabbi. Born in Taurogen, Lithuania, Rav Epstein was recognized for his brilliance at an early age. After studying Talmud at the famed Telshe Yeshiva, he wrote his first book, Chinukh le-Na’ar (a commentary on Aaron Ha-Levi’s Sefer ha-chinukh), at age 16. That same year, he entered the Volozhin yeshivah, studying under its famed leaders, Rav Naphtali Tzvi Yehuda Berlin and Rav Chaim Soloveitchik. At only 18 years of age, he was ordained by Rav Soloveitchik and Rav Shelomo Cohen of Vilna. Notably, he also studied secular subjects, which many other Orthodox rabbis of his time at a gymnasium in Shedlitz and displayed an energetic interest in Eretz Yisroel (Land of Israel). 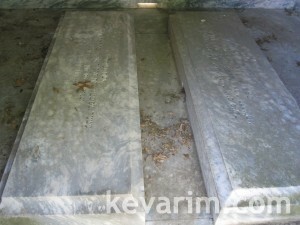 The Rav was affiliated with the Chovevei Tzion movement founded by Rav Shmuel Mohilever. At age 24 he began a series of rabbinical positions, including Grosowa (near Minsk) and Sainee, where he remained until the outbreak of World War I. Toward the end of the war, he was named chief rabbi of an Estonian Jewish region. During this time, the Rav completed a Ph.D. degree and taught Jewish philosophy at the local university. Declining invitations to serve congregations in London and Liverpool, he immigrating to the U.S. in 1923. where he served many communities. Amung them Bayonne, NJ; Cleveland; Cincinnati; and Brooklyn. Like many of his colleagues from Eastern Europe, he faced resistance from more liberal lay leaders and congregants regarding standards of Jewish practice, particularly kashrs. Yet his reputation as a scholar assured that many rabbinical colleagues and lay leaders came to him to adjudicate matters of Jewish law. In 1923, he served as a rabbinical judge in a kashrus dispute between two prominent Canadian rabbonim. The Rav wrote several volumes of highly regarded responsa, including Teshuvah Shelemah. A second volume addressing matters of American concern was published in 1940. The Rav lived his later years in St. Louis, serving as chief rabbi of the United Orthodox community and head of the city’s newly established Va’ad ha-Ir. 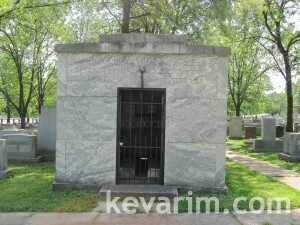 He remained the leading Orthodox rabbi in St. Louis until his death. Anyone with information additional is asked to please send it in. See CONTACT page for details. RC Karlinsky authored a book on Rav Epstien’s biography, for a time Rav epstien served as rabbi in Williamsburg, Brooklyn. His sister was the mother of rabbi Dovid Shlomo Shapiro of Milwakkee author of Midrash Dovid, according to his preface they were descendants from the Noda Biyehuda through his SIL Reb Yosef Hatzadik of Pozne. Anyway of getting the text off the tombstone? My bracha to klal yisrael is that we should be zoche to more rabbi like Harav Epstein. thank you for posting all these links in the comments. My son is writing a paper for his fifth grade class about his family and this was amazing- I am Rabbi Epstein’s great grand daughter. He was my great-grandfather. His daughter Miriam was my mother’s (nee Feigenbaum) mother. We were told that he was also offered the position of head rabbi of Israel, which he also declined because I think he wanted to be in America. I should ask my cousin Danny, son of David Epstein, another of the Rabbi’s eight children. I am the great-grandson of Bernard (Berel) Epstein of Philadelphia, who our family has long believed to have been a brother of Rabbi Chaim Fishel Epstein. I have some verification– much more information in writing than I have committed to memory.